AirPods have become the king of true wireless earbuds, taking over the iOS world. Fortunately, you don’t have to have an iPhone or iPad to use AirPods. 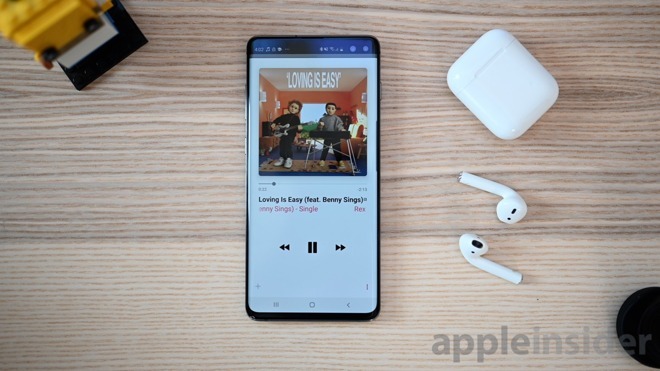 While you lose out on a couple features, here is how you can pair your AirPods with your brand new Samsung Galaxy S10, S10+, S10e, or most other Bluetooth devices. 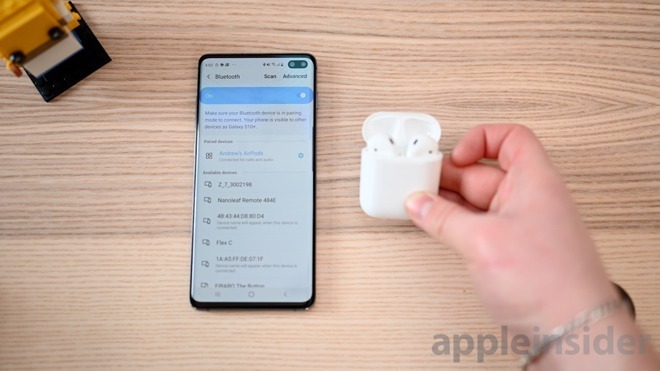 Start by placing your individual AirPods into the charging case. While the case is open, press and hold the small pairing button located on the back. Open the Bluetooth settings menu on your Galaxy S10 (or another device). Choose AirPods and confirm the pairing. 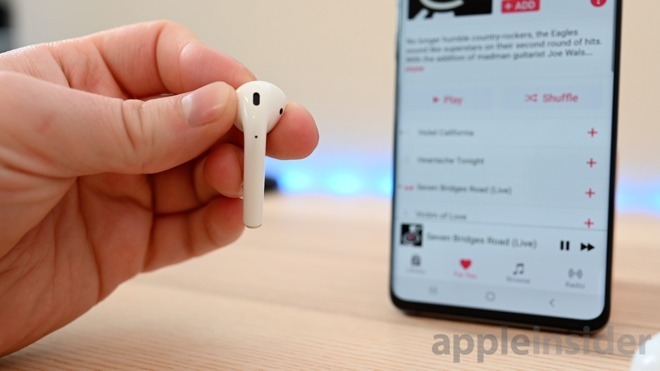 Now you can listen to your music, movies, podcast or whatever else through your AirPods just like any other Bluetooth earbuds. When you’re done, from the Bluetooth menu, forget or unpair the headphones so they no longer connect. All previous iCloud associations remain intact as well, so when you unpair from your work PC you can instantly use them once more with your iPhone. Being that other non-Apple devices lack certain aspects, there are a few things that don’t work as they do on iOS. For starters, as outlined above, the simple and elegant pairing process is a no-go. You are stuck pairing the old fashioned way. The controls on the sides of the earbuds also act differently. A double-tap on either earbud will act as a play/pause button. On iOS, this can be configured to suit your preferences. You also don’t get to take advantage of the iCloud sharing that seamlessly syncs the AirPods to all your devices, as it does on Mac, iPhone, iPad, Apple TV, and Apple Watch. The sound is still good, the range and signal strength is fantastic, they pack a ton of battery in a small design, and they are iconic enough to be recognized by anyone as you walk down the street. We’ve espoused our love of Apple’s true wireless earbuds many times over the years and that still holds true today. 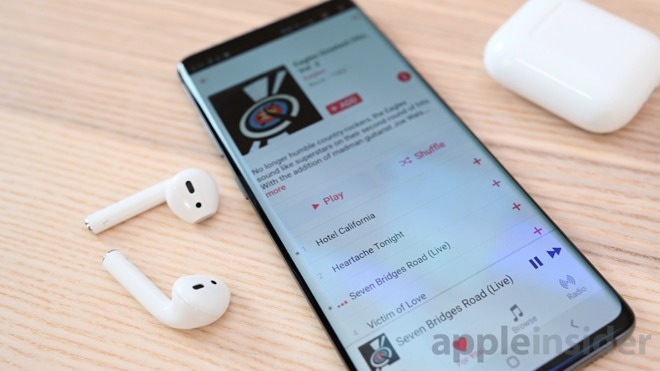 Whether you’re going from an iPhone to a new Galaxy S10 or you already have an Android device but want to rock Apple’s buds, it is extremely easy to do.